Are you looking for affordable auto repairs in Orlando and not sure where to turn? Let Toyota of Clermont help. 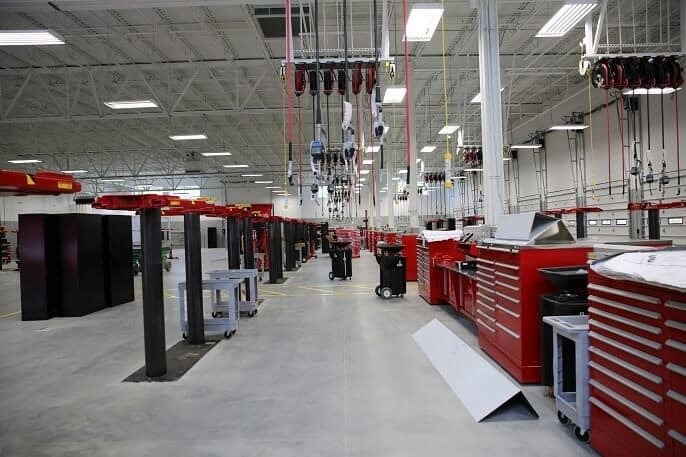 We know it can be stressful to find an affordable and trustworthy place to have your auto maintenance done – our exceptional new Orlando Auto Service Center is the perfect solution. We strive to make sure that your experience is as efficient as possible, so we can get you safely back out onto the road in the shortest amount of time. We also offer incredible auto service specials to help lighten the load on your wallet. Whether you need an oil change or air conditioning services for sticky summer weather, the Toyota of Clermont Auto Service Center can help. 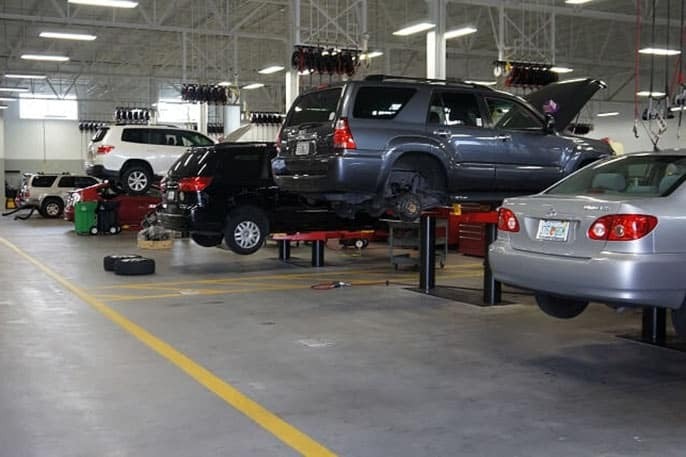 What kind of auto repairs in Orlando can you expect at our Toyota Service Center? Whatever service needs you’re facing, we can help you address them – and at an affordable price. Our Service Center uses the best of the best when it comes to products. We utilize Mobil oil for our oil changes and services, and offer a great variety of tires; you can choose from options like Michelin, Goodyear, Bridgestone, and more. Best of all, we offer price matching. Our Orlando auto service center is so determined to give you the experience that you need that we offer the lowest prices on brakes, batteries, and tires – and if you find the same thing cheaper elsewhere, we’ll match it. The Service Center at Toyota of Clermont also offers NitroFill for interested customers, and every time you come in and see us we’ll check your vehicle’s tires and fill them if need be – on us. Additionally, you’ll get a multi-point inspection every time you bring your car in, so we can make sure no problems are evolving. Did you know that the Toyota of Clermont Auto Service Center even offers genuine Toyota parts? Check out our car parts department for everything from floor mats to TRD accessories, like lowering springs or an exhaust kit. You’ll also be able to drive home happy in a sparkling clean car, as our Orlando Toyota Service Center offers full detailing services and gives you a complimentary car wash before you hit the road! We want to ensure that your vehicle is running in top-notch condition, and in order to do that it needs regular scheduled maintenance. 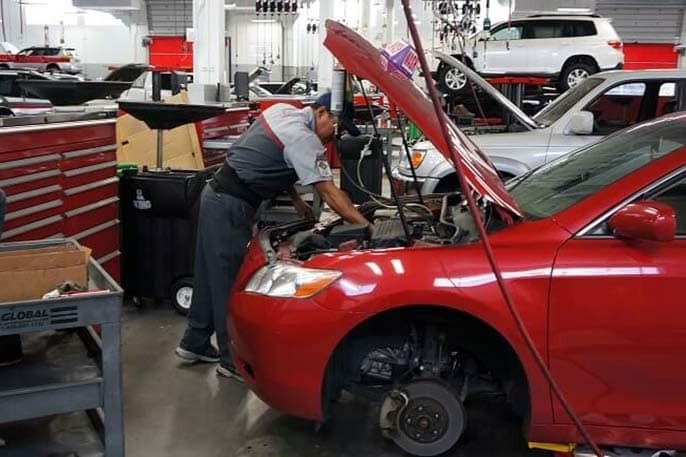 Our Toyota Service Center will help you keep track of your car’s maintenance needs and even send you helpful reminders when you’re due for service. Visit the Toyota of Clermont Service Center today – we’re just off the Turnpike at 16851 State Road 50, and you can give us a ring for an appointment at 352-404-7000. You can even schedule your service online for extra convenience. We’ll see you soon – and ask about our auto service specials in Orlando.